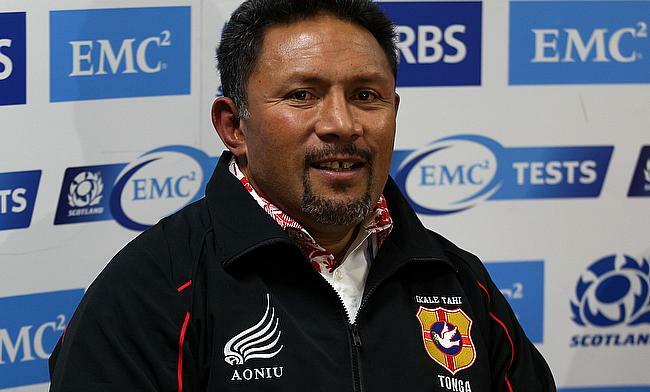 Tonga coach Mana Otai has backed a much-changed team to "do the job" in Tuesday's World Cup clash against Namibia. The Tongans return to Pool C action at Sandy Park in Exeter 11 days after they were rocked 17-10 by Georgia - a result that immediately put their World Cup campaign on the back foot. They will tackle Namibia without captain Nili Latu, who is sidelined due to a hamstring strain, and Tonga's degree of difficulty will increase considerably after Namibia as their remaining two games are against Argentina and New Zealand. Tonga show nine changes from the Georgia defeat, and Otai said: "There has always been a plan about how we take on these four games, and take into consideration the two four-day turnarounds in the upcoming two games. "But, having said that, we also take into consideration now the situation that we're in. "We haven't had success in the last game against Georgia, so we are making sure that we address this game first and foremost, hence the changes. "This is the team that we believe is going to do the job in the game against Namibia." Tonga's loss to Georgia means they are up against it in terms of securing a third-place pool finish and therefore claim automatic qualification for the Japan 2019 World Cup. Georgia have still to play minnows Namibia, and it is highly unlikely that Tonga will collect a point against either of their final two opponents New Zealand and Argentina. Otai added: "There have been a few surprises in the World Cup, and it just shows the nature of this competiton. "On the day, we've got to be prepared regardless of who we're playing, and I think we learned our lessons from Georgia." Namibia opened their World Cup campaign in valiant fashion four days ago. Although they lost 58-14 to New Zealand, it was nowhere near the margin of defeat that many had predicted. "There was inevitable excitement about our performance, but this is a level-headed group of players," Namibia head coach Phil Davies said. "I was pleased with the performance, but a bit disappointed that we didn't impose ourselves a bit earlier. "The Tongans have had a good rest (since their first game). There will be a lot of emotion flying around their team, and they will be very physical. "They are number 11 in the world and we are number 20. That is a huge difference, so it will be a massive, massive challenge for us." Scrum-half Eugene Jantjies will miss the game due to a cheekbone injury, and Davies added: "He looks as if he has gone a few rounds with Mike Tyson, but he will be okay and hopefully fit for selection next week." Namibia skipper Jacques Burger, meanwhile, will make a 10th World Cup appearance, leaving him one short of his country's tournament record.